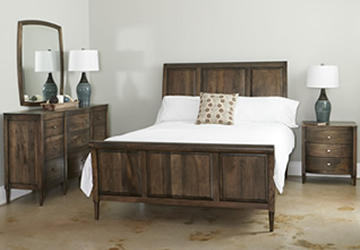 Style N Living introduces this new suite of stunning bedroom furniture. Each piece, styled from solid Acacia Wood, offer a raw, tactile finish ideal for modern home styling. 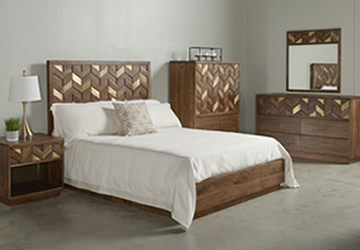 A striking geometric inlay of antique brass-finish metal adds glamour to the earthiness of the wood construction, to help you create a real statement in your sleep space. When we think about living sustainably, we think about furniture for the homes that is sustainably sourced from mango wood. Once the trees stop bearing fruit altogether, they are harvested for timber and a new generation of trees are planted. Welcome to our Gardenia collection collection. 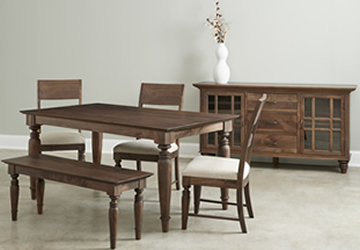 Made of responsibly harvested solid mango, the Aitan dining collection features the natural beauty of mango crafted to perfection, smoke finish offers rich color and just enough texture, adding character to its beautiful grain. Aitan brings style, comfort and convenience to your dining experience, outstanding craftsmanship elevates this beautiful design.